After ten long years of development, behind the scenes shuffling and eight separate FF games, Final Fantasy 15 finally has a release date for PS4 and Xbox One in the form of 30 September 2016. Not only that, Square Enix has announced a feature film, a new five-part anime and a brand new demo. Phew, what a haul eh? 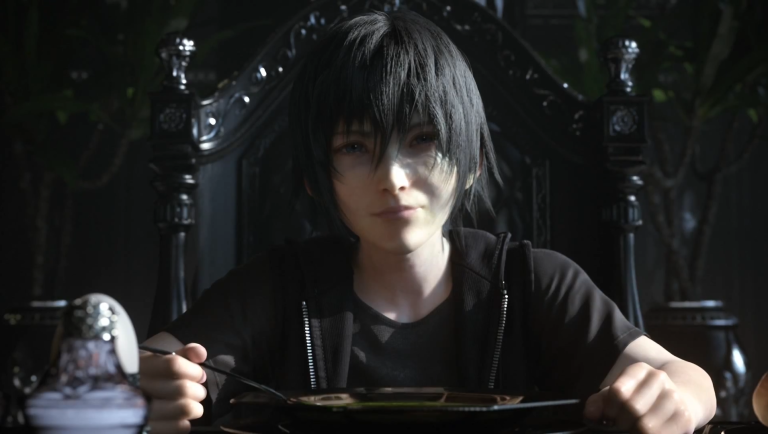 Last night's Final Fantasy 15 Uncovered event might have been marred by the accidental leak of said release date (games press site Gamespot uploaded an official trailer with the date a few hours early, much to the internet's and Square's consternation), but the confirmation of that much rumoured release window adds another big franchise to 2016's lineup. Square Enix also revealed a new demo (which follows last year's lukewarm Episode Duscae), and it looks like this one will be just as divise. A prequel of sorts, you'll get to play as protagonist Noctis in his earlier years, but (from what we've played so far), it's quite out there. If you can take a splash of weird with you breakfast, completing the demo will bet you a unique summon for the main game so get playing. Out of nowhere, Square Enix also revealed a brand new anime series based on the Final Fantasy 15 story. Brotherhood: Final Fantasy will follow the five main heroes of the game and will be split up into five different episodes. Better yet it'll be free an available online. You can watch the first 12-minute episode online blow. On top of that (because Square Enix doesn't do anything by halves), a new CGI feature film in the Final Fantasy: Advent Children vein was also confirmed. Produced in secret for the last three years, Kingsglaive will follow Luna and Regis (played by Lena Headey and Sean Bean of Game of Thrones fame) with a story that runs parallel to the game's narrative. It will be available online before the game comes out, but you'll have to pay for this one. Phew! You download Platinum Demo: Final Fantasy 15 from PSN and the Xbox Store now.